Your time management at work can make or break your career. How you manage your time can make the difference between advancing your career or not, and earning more money or not. Many people waste hours a week on tasks that aren’t important or by piddling around. Others feel overwhelmed with the tasks they must do and are heavily stressed because of it. Some end up spending extra hours at work or at home working just to try to make the difference. Some spend days being so “busy” but accomplishing little. 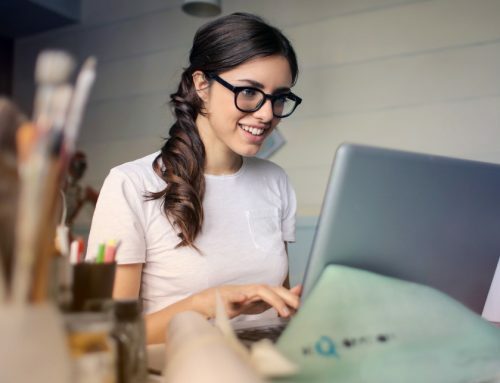 When you improve your productivity at work, you accomplish more, know what tasks to focus on and what to remove, stay less stressed and overwhelmed, and push forward your career and potential earnings. That’s what this article is about. 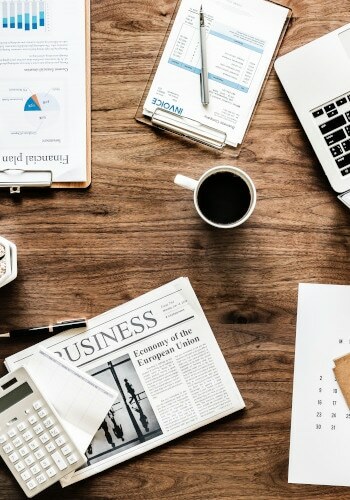 In this article, we will discuss 40 top tips to improve your time management at work. The most important step you can take to improve your time management at work is making sure you know what you were hired to do and accomplish (and then focus on those tasks). Too often we are unclear about why we were hired, what our employer expects us to accomplish, and what our most important tasks are. If you don’t know, then how can you make sure you are doing what is most important? If you don’t know, find out. Look at your job description. Talk to your boss. Find out what you are expected to accomplish. What is your company’s most important priorities? What are their goals for this quarter/year/long-term? How does your job align with those and how can you focus on them? Knowing these can help you focus on the tasks that will bring the biggest results. 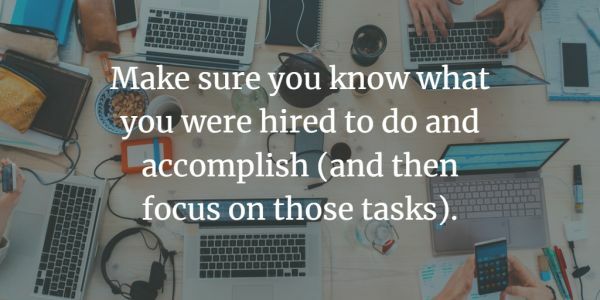 If you know what you were hired to do and how what you do aligns with your company’s goals and priorities (or you have figured out how to align them), focus on those tasks! Brian Tracy calls them your Key Result Areas (KRAs). These are the most important tasks or activities for your job. The more you do of your KRAs, the more you accomplish. Look at what you do now. Make a list with a column A and B. Write everything that you do that is part of your KRAs and goals and priorities in column A. Write what you do that is not in column B. Then focus on column A and work on removing column B tasks. 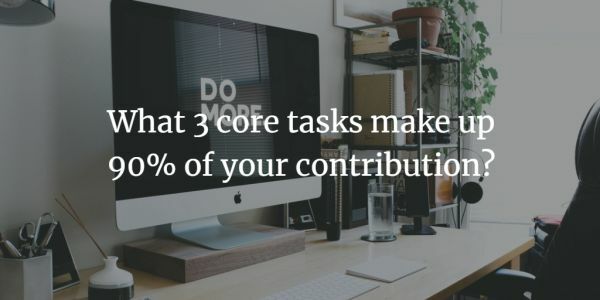 In fact, Brian Tracy says, of all the tasks we have, we have 3 tasks that make up 90% of our contribution to our company – the Core 3. Part of making sure you focus on what is important is to differentiate the important from the urgent. Have you ever had a day where you were so “busy” but felt like you accomplished little? It was likely because you spent your day on urgent tasks instead of important ones. Urgent tasks seem important because of their proximity. They are right now, right in front of us, so they seem important even if they are not. You have to learn to differentiate what really is important and what just seems that way because of its urgency. Often things that come in emails and from people stopping by aren’t as important as they seem. The best ways to help you differentiate is to remember your KRAs, goals, and priorities and to plan ahead. If you know your KRAs, you can compare the “urgent” tasks to see if it fits. If you plan ahead with your most important tasks, you can compare the task to your plan to see how important it is compared to what else you have to do. You likely have heard of Pareto’s principle, the 80/20 rule. 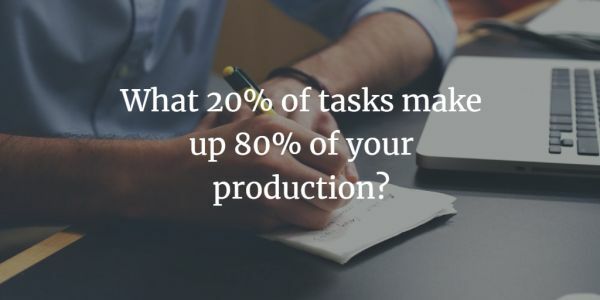 Though it can be applied in many areas of your life, when it comes to work, one of the biggest applications is that it says that 20% of your effort make up 80% of your production. And on the flipside, the other 80% only contributes 20%. Even within your KRAs, if you can determine what your 20% is and focus on those while cutting out the 80%, you will begin to accomplish a LOT more. We’ll cover ways to help remove tasks in later tips. One of the biggest steps to improve your time management at work is to plan ahead. 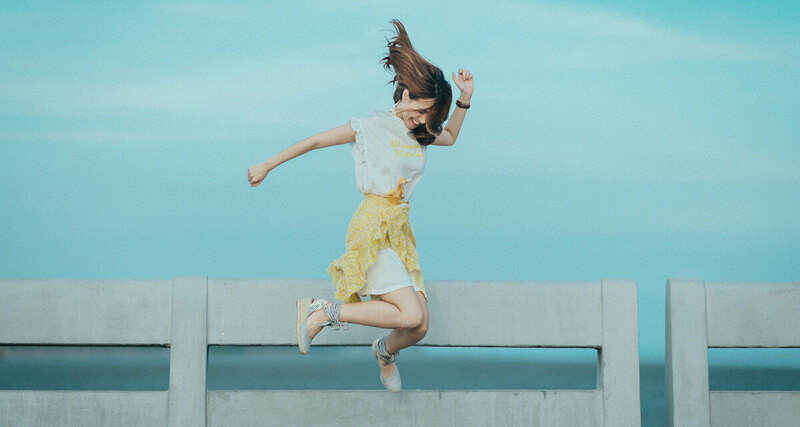 When you plan ahead, you make sure what you do fits your KRAs and long-term goals, and it helps differentiate the urgent-only tasks from the important ones. Also, when you plan ahead, you can start your day on your most important tasks fast instead of “figuring out” what to do (and easily doing less important tasks). At a minimum, try to plan ahead each day. The night or day before, write out the tasks that you need to do the next day. Then go through the list and figure our your most important tasks and mark them. You can use Brian Tracy’s ABCDE method or just label tasks in importance. However, planning the week and month can also be effective. Planning for the week can help you make sure your tasks are focused on the long term. Planning for the month can also help you keep the long-term view and make sure you prioritize well. To plan ahead by the week, before the week starts (Sunday night, for example), write out what needs to be done that week (or just write general themes of what you need to do). Planning the month is similar. Before it starts, write out what needs to be done that month. 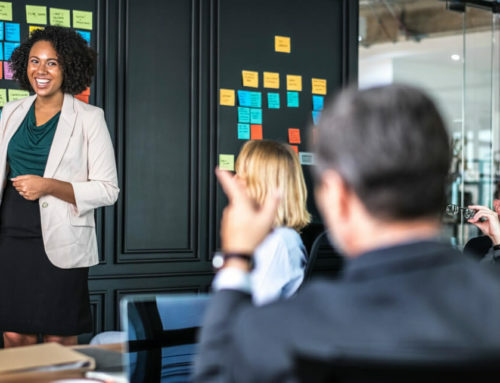 This doesn’t mean micromanaging for the month what you will do each day (unless you really want to), but you can get a general idea of what needs to be done. Then as you plan for the week/day, pull from your monthly plan what needs to be done. Side note: Some people swear by a to-do list. Others by a calendar. It doesn’t really matter. Both are ineffective if you aren’t making sure what you are doing is actually important. I like using both. I like to plan set times to work on certain projects or theme and may work off a list based on those. Distractions can be a killer of productivity. If you do not control them, they will control you. One of the biggest distractions is constant emails, notifications, and phone calls. 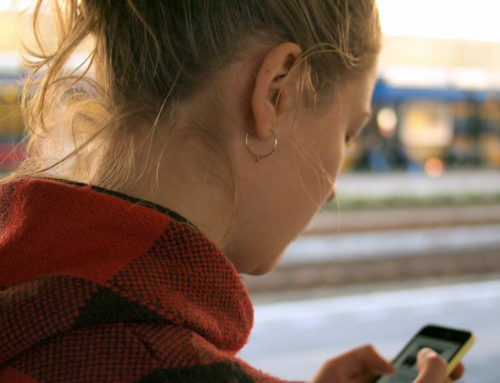 The ding or messages from notifications take our focus off what we are working on and, even if we don’t check it, often the curiosity of “what is it” takes part of our brain power away until we check. If possible, set specific times to deal with email and turn off notifications for it (and notifications from socials, etc. as well). If you can, turn off your phone and have people leave a message and check the voicemail at set times. You can even state what times you check it. If you can set times, avoid chatty conversations. Let people up front know you are busy or only have X minutes to chat. To fight people stopping by, set up a do not disturb sign. Wear headphones. Let people know ahead of time when you are available to talk and when your focused times are. Make sure also that you are comfortable. If you chair hurts you or it’s too hot or cold, it will hurt your productivity. These are just a few ideas. Check out some more here. Brian Tracy took this principle for his book Eat That Frog!. 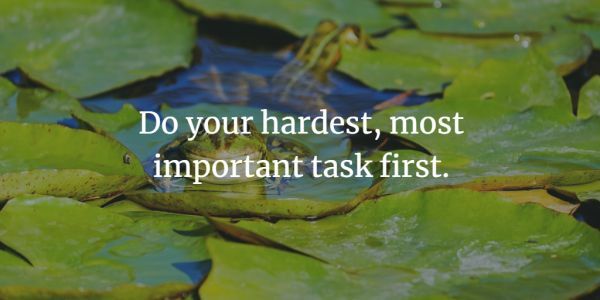 Here’s the premise of it all: If you do your hardest, most important task first thing, it makes the rest of the day easier. You won’t spend the day dreading it or wasting time on easier not-as-important tasks, and you are getting what’s important done. When you get to work, start on your most important task first and get it done. Then work on the next one, and so on. Even if after you finish it your day goes awash, you can still feel accomplished because you finished what was most important for that day. The busyness, people, and “urgent” needs of everyday work can sometimes be distracting and keep you from focusing on your most important work. One idea that has helped others get more done is to get to work early before everyone else gets there. 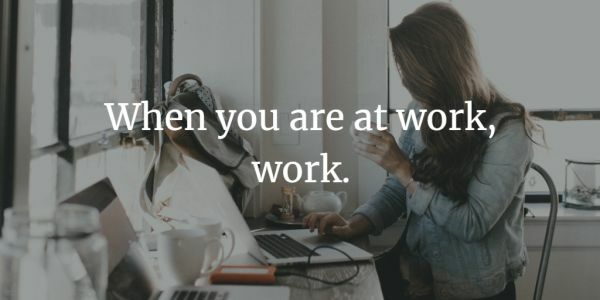 If you get to work early before everyone else, you can work uninterrupted on your most important tasks and could even get it done before everyone else even gets to work. One reason people don’t advance far in their career or aren’t very productive is that they don’t work while they are at work! When they get to work, they piddle around. They get coffee, chat with coworkers, check socials, peruse emails, and so on. They waste time doing things that aren’t productive. While we should take breaks, being lazy is not a break. When you are at work, work. Don’t waste time in the morning piddling. Get to your most important task immediately. That alone could set you apart from many of your coworkers. So, you have all these tasks that you do that aren’t important. How do you get rid of those to focus on the most important? Use the 4 D’s: delay, diminish, delete, and delegate (the next tip). Some tasks can just be deleted – the don’t need to be done. If it’s unimportant and you can eliminate it without any consequence, do it. Other tasks can be delayed. You may need to do them, but they aren’t the most important right now. You can delay and focus on what’s most important. Other tasks can be diminished. Maybe you can find templates to use or use some form of automation or macros. If it’s not really that important, maybe it doesn’t have to be that “perfect”. Maybe good is good enough for some tasks. If you take less time on the unimportant tasks that you have to do, it gives you more time for the more important. The fourth “D” is delegate. 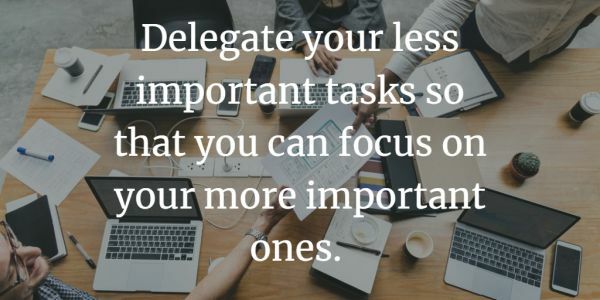 Learn to delegate tasks. Many of us don’t delegate because we think it will take too much time to teach some one else or it will just turn out better if we do it. When we do that, we hurt ourselves in the long-run. If a task isn’t part of your key result areas, delegate it to someone else (especially if it is part of theirs). Some tasks you may hate that others like or that they are good at when you aren’t. Delegating can save you a lot of time. In fact, Brian Tracy says that we should delegate any task that is below our paygrade. If you get paid $20/hour and a person who makes $10/hour can do it, then you should delegate it. You should only do tasks worth $20/hour or more. Learn more about how to delegate here. It’s true that each person has their own style when it comes to organization. However, there comes a point where one’s lack of organization begins to hurt instead of help. If you are constantly having to dig and look for things, then you are hurting your productivity. Not all of these may work for you. Find what fits, but make sure the way you “organize” helps and doesn’t hurt. Here are a few other organization tips. Though meetings can be important, they can also be one of the biggest wastes of time. If what needs to be discussed at the meeting can be handled over a phone call or email, do that instead. 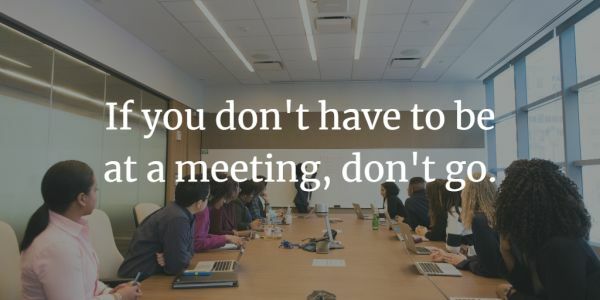 If you don’t have to be at a meeting, don’t go! Save yourself the time. 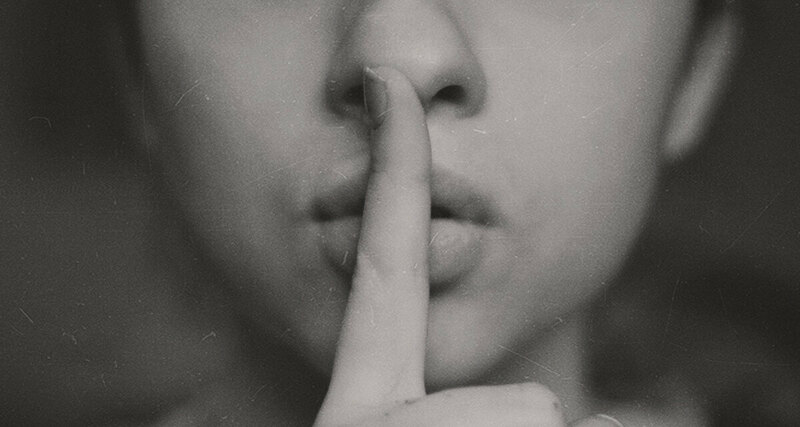 Here are some other tips on how to avoid meetings that you don’t need to attend. Have a set start time and start on time. Don’t wait for people (otherwise, they will always show up late knowing you will wait, and waiting is disrespectful to those who were on time). Have a set end time – and stick with it. Have an agenda that’s sent out beforehand and stick to it. You could also have set amounts of time for each topic. Don’t let discussions get off track. Start with the most important topics first so that, if you reach the end time before finishing, you finished the most important. 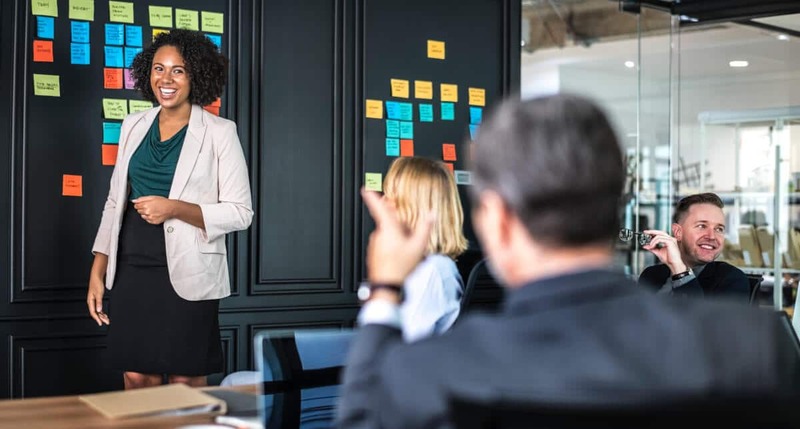 Have standing meetings – they generally are shorter and as productive. Switching from one type of task to the next has a switching cost. When you switch tasks, you have to put up everything related to that type of task you were working on and get everything out for the next. 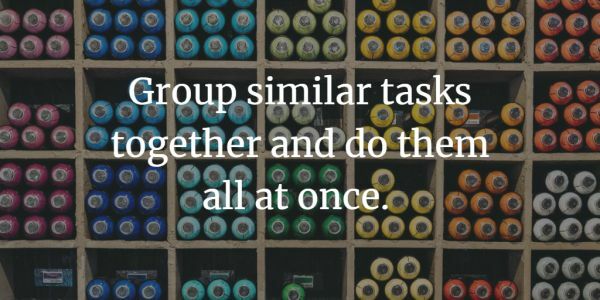 Instead, batch and group tasks. Group similar tasks together and do them all at once. For example, if you are reviewing documents, and have multiple documents to review, try to do them all at once. Have set times to check your email and go through them all at once. Do all your phone calls at one time, and so on. Doing so can save you a lot of time. One tip for greater efficiency is to always have your desk cleared of everything except for the task at hand. This keeps you from having to dig through items from other projects to find what you need. Also, make sure you have everything you need for the task at hand on the desk. Doing so keeps you from losing focus and wasting time looking for something you need in the middle of the task. 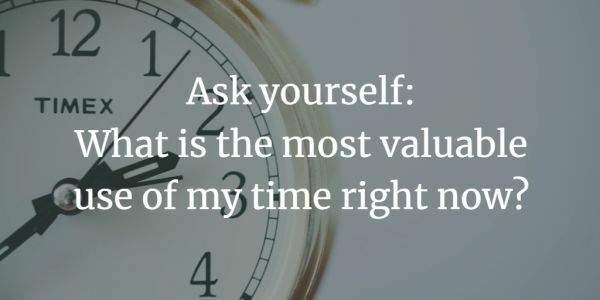 Brian Tracy calls this the core question of time management. Asking this question can help you focus on what’s most important. Sometimes you may find what you are working on isn’t really the most important. Multitasking is a killer of productivity. Switching back in forth is ineffective and costs you time. Think about it this way, when you stop one task and switch to the next, you have to put up the items for the one task and get the items you need for the other out (or open/close files, etc. ). You then have to remember where you were and start. If you were in the flow, you lost it and have to work on getting it for the next task. When you switch back, you have to do it all again. Instead, focus on one task and focus on it until it’s complete (as much as possible). This will save you a lot of wasted time. Do you know anybody who is good at starting tasks or projects but not at finishing them? What about someone who has a lot of great ideas but never seems to get any of them started? These people have a problem completing. If you want to be productive and manage your time well at work, you have to be a completer. Not finishing tasks is not only unproductive in the sense that all of the tasks aren’t done, but they all begin to hang over your head. They can easily become a point of major stress. Start what you finish. Don’t leave things hanging. When you start a task, work on it till it’s done. Have a set limit of projects open at one time where you must finish one before starting another. Do what you have to do to not only be a starter, but a completer as well. Now, it is important to always do the best job you can do. You never want to just give a half-effort job. At the same time, however, not everything has to be perfect. Sometimes we can waste hours trying to perfect a document or email. Sometimes good enough is good enough. Do the best you can and let it be. Not everything has to be perfect. You wrote the email and checked it again for grammar or errors. Let it go. You typed up the document, reviewed it later for errors and corrections, and maybe even had someone else look at it. It’s good enough. Let it go. Do your best, finish it, and move on. Don’t waste the time making it “perfect”. Parkinson’s law says that work expands to fill the time that you allow for it. If you give two weeks for a project, it’s going to take two weeks. If there is no deadline, sometimes it is never finished. 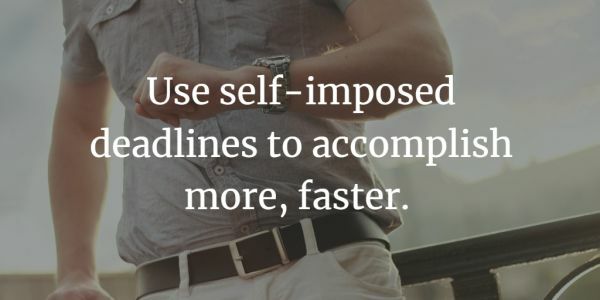 Set self-imposed deadlines. Even try to challenge and push yourself. This can help you accomplish more, faster. This doesn’t always work in every scenario. Sometimes in creative work, for example, deadlines can hurt you. You can test for yourself. But in most cases, setting self-imposed deadlines and working to meet them can help you accomplish more in less time. Even for meetings and group work, setting deadlines/tighter deadlines can help your group accomplish more. Notifications and alerts can be a bane of accomplishment. Those beeps and dings can destroy your productivity. We as humans do not multitask well. When we jump from task to task, back and forth, we go slower and accomplish less. Switching between tasks also makes us lose focus. Sometimes when we start a project, we get focused and in the “flow”. When we switch, we lose that. When you check your messages or phone or email every time there is a ding, you are jumping between tasks, losing focus, and multitasking. You are accomplishing less than if you focused on the one task for now then later had a time for messages, etc. But that’s not the only issue. The dings and alerts can make us lose focus as well. Even if you ignore the alert, the ding itself can make us lose focus. Even if that doesn’t, often the curiosity of “what is that message” can distract us from what we are working on. To solve that, just turn off your notifications. Stop the popups and dings and beeps and alerts. Then set aside a specific time you can focus completely on those. This connects with the previous tip. Set aside specific time to check your email and do phone calls (if possible). 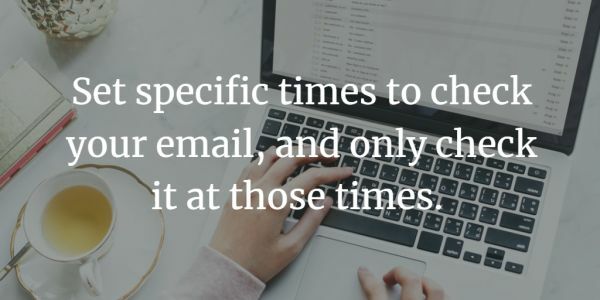 Instead of wasting time constantly checking your email (which usually is not important work), set specific times during your day to check it. Some do it twice a day (say, once in the morning, once in the afternoon). Some do it more. Do what fits your job and schedule. Whatever you decide, make sure you control when you check it so that you stay focused on the tasks that are most important. Those “hey, you got a minute?” meetings often take more than “a minute” and can sometimes keep you distracted from the work you should be doing. True, you may want to be there for your employees and be there to help them. That’s good. You just want to make sure you hold and control those meetings effectively. What happens with a lot of these meetings is that they take a lot of time. One minute turns into 10 or 20 minutes. Often, that’s because the conversation gets off topic. To solve this, you can set a time limit for these meetings. Ask them to be prepared and get straight to the issue and their proposed solutions to the issue. 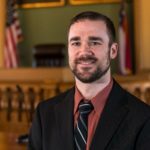 Another issue with these meetings is that sometimes you may spend your time solving their problems instead of them solving their problems (and maybe you help guiding them in that). Ask that if someone comes to talk to you, that they have a solution in mind for the problem. That will cut back on some people coming, and it also can make it easier for you to help guide them on that or other solutions. Another option to control these meetings is to have set times for them for when people can come by. You could also have people set an appointment. Other options include asking people to include the issue in the next meeting or emailing you about it. If you really want to be at your best and be most productive, you must take care of yourself. Too many people live off fast food, coffee, energy drinks, and too little sleep. They are hurting themselves – a lot. Then they work extra hours because they are less productive and stressed and keep the cycle going or make it worse. If you want to be productive, take care of yourself. Eat healthy food. Exercise. Get sleep. The benefits of doing this is tremendous. The opposite is true. People who take breaks are generally the ones who are more productive. Our energy and mental focus varies. When you take a break away from your computer or work, walk, stretch, have a chat with someone else on a break, it can refresh you brain and focus and help you get back at your work more effectively. You may not can take breaks like that, but do set times to have breaks throughout the day. One big waste of time we can easily do is when we touch the same email, document, or other item multiple times. We check the email and see it. Then later we look at it again. Then again. Then finally we answer it. Or we get the mail and look at it, then put it down. Then later we look at it again and finally do something with it. These multiple “touches” wastes time. Instead, don’t touch something unless you are ready to take the next step with that item. Don’t check your email if you are not ready to respond (or whatever the next step might be). Don’t look at your mail if you aren’t ready to process it. And so on. By following the “touch it once” rule, you can potentially save yourself from a lot of wasted time. Sometimes you may be good at a task that your coworker is not, and your coworker may be good at a task that you are not. Or maybe you enjoy it more than they do, or vice versa. One option you can do is to switch those tasks with your coworker. Do what you are good at and let he/she do what he/she is good at. Granted, in some cases, that task is important to your job, and it would be smart for you to take the time to learn to do it well. 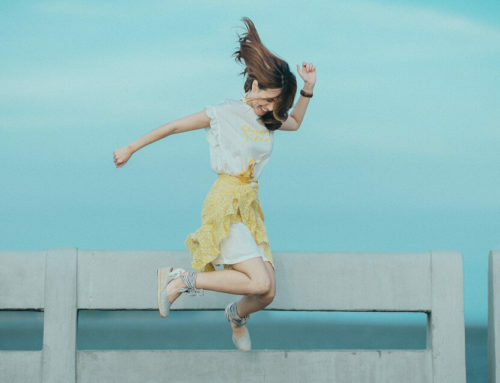 However, in many cases, it may be a low priority task, and in those cases it may make sense to pass tasks around to those who can do it faster, better, and/or enjoy doing it more. There’s a lot of truth to that statement, and it applies at work as well. 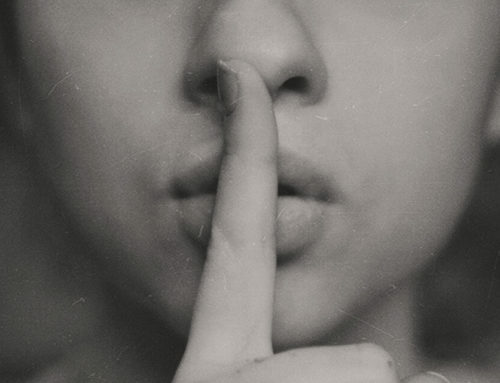 If you spend time with negative, unproductive people, guess what? You are going to start to reflect that. However, if you spend your time with the successful, positive, and productive people at your workplace, guess what? You will start reflecting that as well. 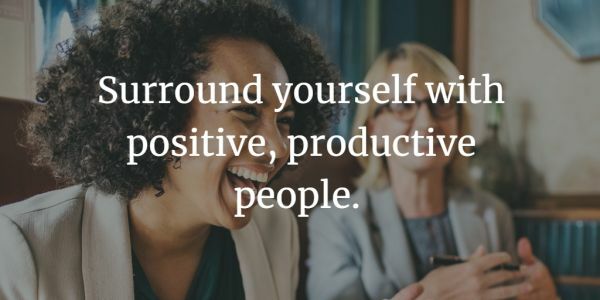 Make sure that you surround yourself with positive, productive people who will pull you up, not down. One of the biggest causes for wasted time is our inability to say “no”. Someone comes to us with an issue or problem or for help. We know we should be working on something else, that that person needs to be able to solve their own problem themselves, or that their issue is an “urgent, unimportant task”, but because you don’t want to hurt their feelings or look bad (or whatever the reason), you say “yes”. So you end up wasting your time on unimportant tasks instead of the tasks that really are important. Remember, saying “yes” to one task is saying “no” to another. When you say “yes” to an unimportant task, you are saying “no” to your important ones. Learn to say “no”. Don’t take on other people’s responsibility that they should handle. I’m not saying that you should never help or guide them, depending on the situation, but it’s not your job to do it for them. And sometimes you should just say no because it’s not good for you. You have other work to do. You have other stresses to deal with. You just don’t have time. For many, when people come to them with a problem, they try to solve it for them. They “take their monkey”. Don’t do that. 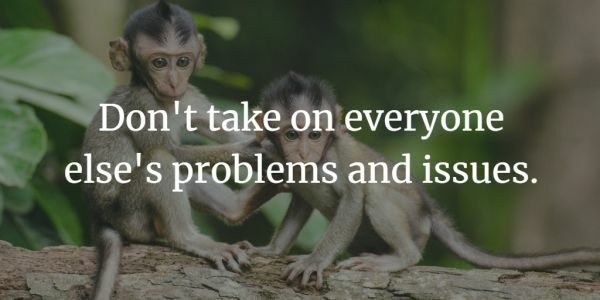 It’s not your job to solve everyone else’s problems. That’s their job. When you do that, you start to become overwhelmed and stressed. You have less time to get your own work done. It becomes a “norm” for you to handle all their problems for them. They will become dependent on you to solve their problems. It also shows a lack of trust in those under you when always take their problems away and solve it for them. Instead, have people come to you with a proposed solution. And guide them in which way to go if needed, don’t do it for them. If you want to keep growing in your productivity and time management at work, keep learning and growing. Keep improving your skills. Find what your most important tasks are and learn how to do those even better. The more you learn, the better you get, the more productive you will become (and potentially the more money you will earn and the more advancing you will do). Read books. Listen to podcasts. Go to conferences. Watch webinars and videos. Learn. 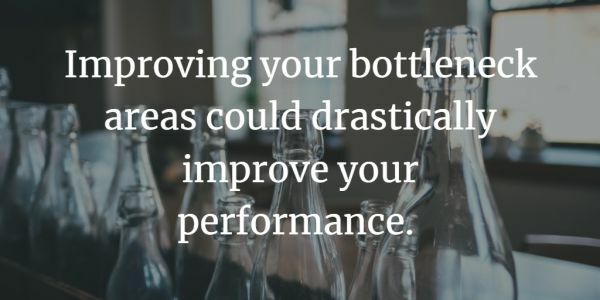 A bottleneck is an area that slows down everything else. For example, if you have to type a lot of documents, and you are a very poor typer, everything is slowed down by how fast you can type. If you are weak in any of your key result areas, that will slow you down. Find what your bottlenecks are. Improve your weak areas of your important tasks. Doing so can improve your productivity many-fold. As a side, this does not mean you need to improve every week area. Some tasks are worth delegating or hiring someone to do instead of trying to learn to do everything yourself. It means improving the areas that are important to your job (and to the job you want). You may want to improve other areas, and that’s okay, just don’t focus so much on those you don’t improve what’s truly important. It can be easy for us to collect a giant pile of “to reads”: books, documents, articles, blog posts, and so on. That’s why it’s important to be selective in what you read. You don’t have to read everything. In fact, if you read an article, you don’t have to read the whole thing. 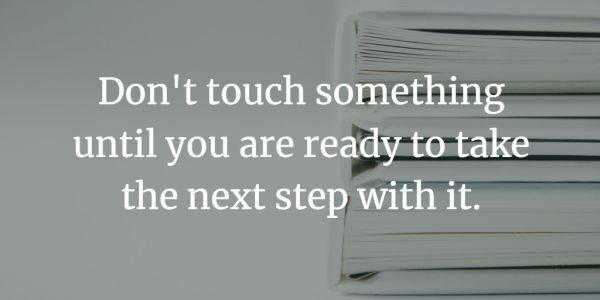 You don’t have to read a whole book – you can just choose the chapter that meets what you need. 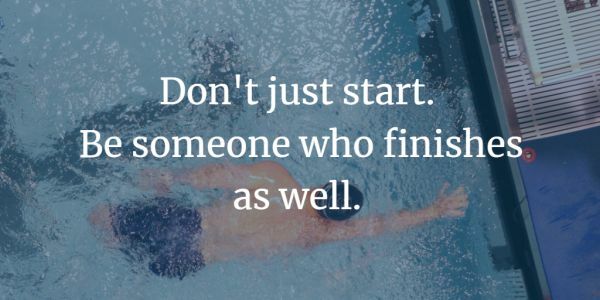 You don’t have to finish something because you started it. If it’s not pleasurable (for pleasure reading) or informative, put it down. If it’s not going to help you, don’t read it all. Be selective. Also, learning speed reading techniques can help you get through more material, faster. Triple Your Reading Speed and 10 Days to Faster Reading are great books that help teach speed reading. 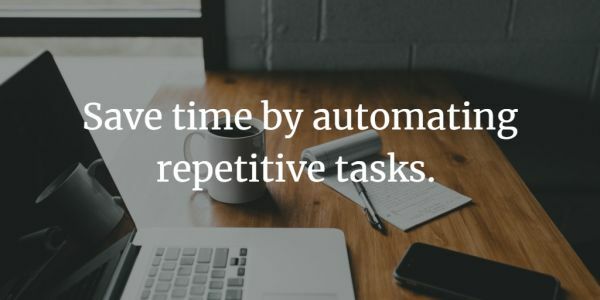 One way to save time is to automate tasks. For example, some programs have macros or similar that do respective tasks automatically. Sometimes there are templates that you can fill in that keep you from having to do the same thing over and over. There may be software available to help you do what you do faster by automating some of it. 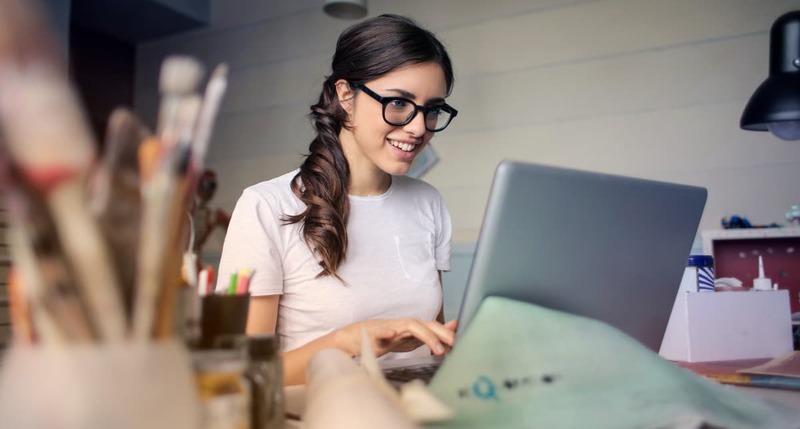 It may be worth a few minutes of your time to learn how to do automation with the software you have or to find software that can do it for you. Notebooks can be like a second brain. When you think of an idea, you write it down. When you think of something you need to do, you write it down. This keeps you from forgetting later your idea or what you need to do. 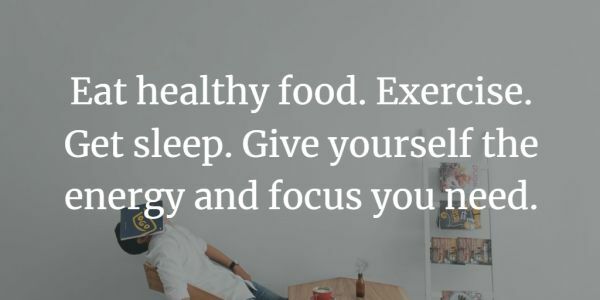 It also helps you focus. If you are trying to remember 15 tasks that you need to do (or even just a few), is your focus completely on the task at hand? Some of your focus is trying to remember those tasks or ideas. When you write everything down, it lets you focus completely on the task at hand knowing you have it written down and can look at it later. 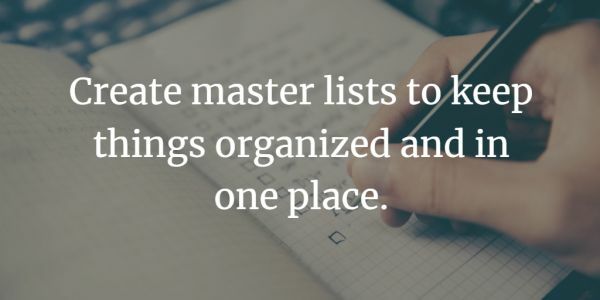 Have a master list for all the tasks you need to do (could also have one for ideas, and so on). It keeps your tasks (etc.) organized in one spot. I’ve before written to do’s and ideas in multiple places on different pages – only later to not be able to find one particular paper, or I wasted a lot of time looking for it. If you keep everything in one spot written, you save time and you know where it is. Have it your head the importance of focusing and getting things done – fast. Create a sense of urgency to get what you need to get done, done. Be action oriented. Here’s more by Brian Tracy on how to develop a sense of urgency. 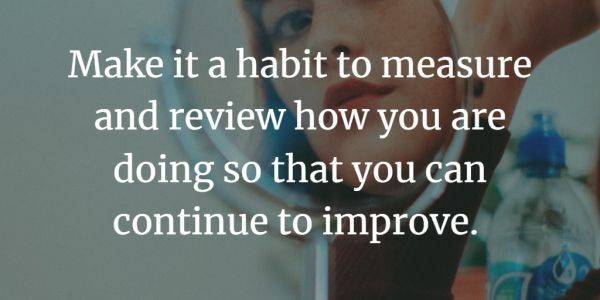 It’s hard to grow and improve what you don’t measure. If you want to improve your productivity, measure yourself on how you do. Review yourself. You can weekly check your goals and tasks you completed to see how they matched. You can daily look at your tasks and see if you followed your plan or not. You can create a form of measurement to use. You can have a daily review. Each night ask yourself what you did well in, where you can improve, and how you can improve. 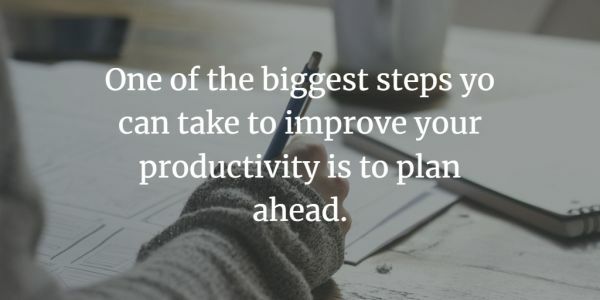 Doing simple steps like these (or others you may come up with or discover) can help you constantly improve and better yourself and your time management and productivity. We just covered 40 tips for better time management at work. The most important is to make sure you know what’s important and focus on those tasks as much as possible. And don’t worry about trying to apply everything at once. In fact, don’t. Doing so could burn you out. Just pick one or two or such and try those. Then apply others. And not everything may work for you or fit your style. That’s okay. Adjust it as needed or try something else. Now to you: what other tips do you have for improving your time management at work?